Zooplankton and Phytoplankton are organisms which drift in the oceans, seas and bodies of fresh water. The word ‘zooplankton’ is derived from the Greek word ‘zoon’ (ζῴον), meaning ‘animal’, phyto is derived from ‘phyton’ (φυτόν) meaning ‘plant’, and plankton from ‘planktos’ (πλαγκτός), meaning ‘wanderer’ or ‘drifter’. Mammals, fish and crustaceans feed on zooplankton and they in turn feed on phytoplankton. Phytoplankton need two things for photosynthesis and thus their survival: energy from the sun and nutrients from the water. In the process of photosynthesis, Phytoplankton release oxygen into the water. Half of the world’s oxygen is produced by Phytoplankton photosynthesis. The Wanderer is a sound composition created from hydrophone recordings from the realm of these creatures in the Atlantic Ocean, made by Jana on her travels from the North Pole to the Equator. Jana Winderen is an artist educated in Fine Art at Goldsmiths College in London, and with a background in mathematics, chemistry and fish ecology from the University in Oslo. 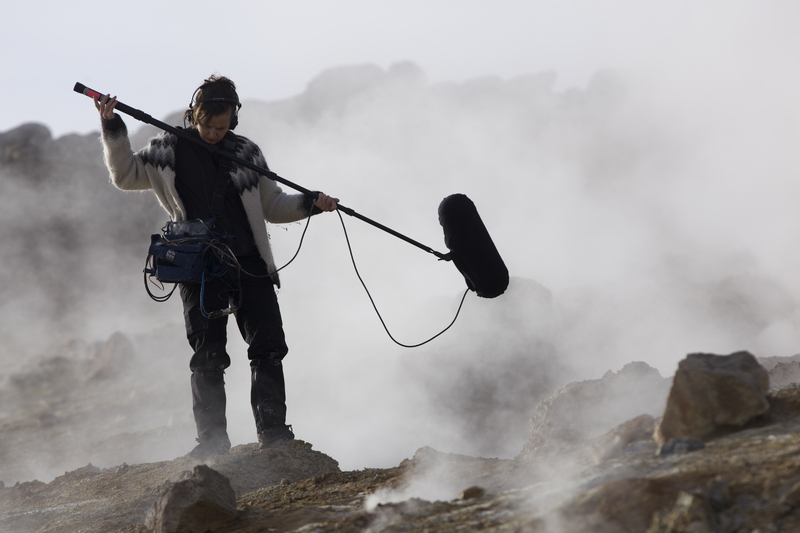 She researches the hidden depths with the latest technology; her work reveals the complexity and strangeness of the unseen world beneath, the audio topography of the oceans and the depth of ice crevasses are brought to the surface.